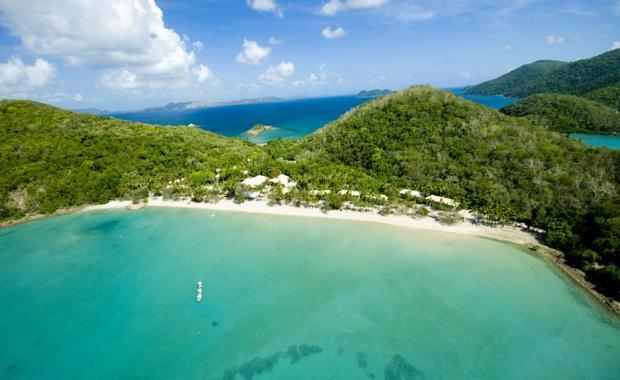 Private investor David Kingston's Ocean Hotels Group will be listing Long Island Resort, along with Club Crocodile Airlie Beach for sale next month. The Group announced the sale would allow it to focus on business interests including the expansion of its Cairns-based Sunlover Reef Cruises business. CBRE Hotels' Wayne Bunz and Hayley Manvell have been appointed to market the properties with Christie Leet of PRD Nationwide Airlie Beach. Long Island Resort[/caption]Ms Manvell added that a renowned brand with strong management and vision could take the island to its next stage and realise its true potential. This included capitalising on extensive redevelopment opportunities, with a development approval having been granted in 2008 for an additional 162 guest rooms. Also up for sale, and available in one line with Long Island or individually, is the mainland resort of Club Crocodile Airlie Beach. This 3.5 star resort features 161 rooms on a large freehold site close to the beachfront and Abell Point Marina. The resort underwent a $1.3 million refurbishment of the guest rooms between 2014/15, with 75 rooms presenting 'as new' including new bathrooms. “Off the back of recent sales by CBRE Hotels, including Daydream Island to China Capital Investment Group and Lindeman Island to Whitehorse Holdings, we are very confident of considerable interest in both assets,” Mr Bunz added. Ms Manvell noted that CBRE had been involved in a number of recent Australian hotel transactions involving offshore investors and had been inundated with enquiries for leisure assets, particularly from mainland China. “Investors are looking to enter key leisure markets and capitalise on their potential for further growth, particularly in light of the softening Australian dollar, which is creating favourable market conditions for the local tourism market,” Ms Manvwell said.